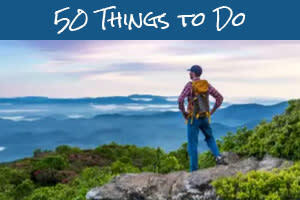 Asheville, North Carolina&apos;s scenic natural landscape is a mecca for greenery, flowers and blooms. 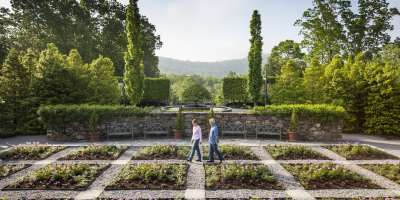 The Asheville area has a favorable climate for lush gardens, and the locals have a long history of being instilled with a passion and respect for protecting and showcasing the land. In the late 19th century, George W. Vanderbilt hired Frederick Law Olmsted, the father of modern American landscape architecture, to oversee the development of his new estate, Biltmore. Under Olmsted&apos;s keen oversight, Vanderbilt hired a forestry manager to revitalize his land, thus setting into motion the first forestry stewardship practices in the country. Asheville, known as the Cradle of Forestry, continues to be on the cutting edge of horticulture in the Southeast. Here in the mountains, you&apos;ll find some of the best garden centers in the Southeast, a top-notch arboretum, miles of hiking trails for wildflower and fall color jaunts, and plant society shows. Like many who frequent the area to see these gorgeous gardens, you may find yourself planning your return trip before you even leave! When you visit Biltmore, America&apos;s largest home, you&apos;ll be treated to acres of stunning gardens designed by Frederick Law Olmsted. Just to the left of Biltmore House, discover the Italian Garden, which features three reflecting ponds. In warm weather, koi and goldfish swim in these water gardens among giant water lilies, lotus and papyrus. Among the most impressive gardens on the estate is the Walled Garden. The four-acre garden features meticulously-designed plantings that change seasonally. Just off of the Walled Garden, the Rose Garden features more than 250 varieties. 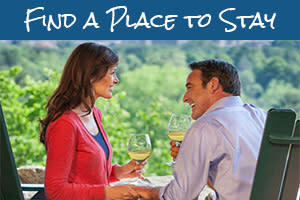 Access to the gardens is included in your Biltmore ticket. You are not able to purchase admission just for the gardens. Set on 434 acres in South Asheville next to the Blue Ridge Parkway, the North Carolina Arboretum offers 65 acres of cultivated gardens. The Arboretum&apos;s Quilt Garden puts a new spin on the Appalachian heritage craft of quilting by interpreting traditional quilt block patterns as colorful flower beds. A different quilt pattern is chosen each year and the garden designs change seasonally. There is no admission fee but a parking fee does apply. Just two miles from downtown Asheville, an urban garden oasis awaits you next to the University of North Carolina Asheville. The Botanical Gardens at Asheville is a 10-acre non-profit botanical garden dedicated to the study and promotion of native plants and habitats of the Southern Appalachians. Included in the display are more than 70 species of plants that scientists consider uncommon, rare or endangered. A beautiful half-mile loop walking trail takes you throughout the gardens. 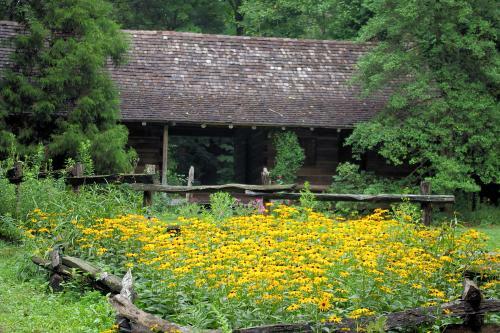 While you&apos;re there, check out the authentic Hayes Cabin and spring house to see how early settlers lived. Because of the very fragile plant collection at this garden, pets are not permitted. There is no admission fee. Also just a couple miles from downtown Asheville, the Curve Studios garden in the River Arts District offers a place to relax while exploring Asheville&apos;s art scene. Curve Studios is home to eight artists in three buildings. Wrapped around the buildings are a series of luscious gardens. The gardens display some of the work by the resident artists. Soak in the sun by sitting in the chairs or on the benches in the gardens, before setting back out to discover more of the River Arts District&apos;s more than 200 working artist studios. There is no admission fee. Take a day trip to beautiful Pearson&apos;s Falls in the community of Saluda. The Pearson&apos;s Falls area was purchased in 1931 by the Tryon Garden Club to create a botanical preserve. Today, more than 200 species of rare wildflowers, plants and trees are preserved here. Pearson&apos;s Falls is included in the Smithsonian Institution&apos;s Archive of American Gardens. Admission is $5 for adults, $1 for children 6-12 and free for children under 6 years of age. Many of Asheville&apos;s "secret" gardens are hidden in plain sight amid the area&apos;s public gardens or urban centers. 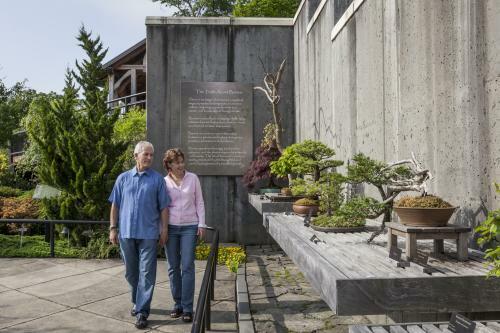 Bonsai Garden at the North Carolina Arboretum — Tucked behind a high wall is an intricately designed display of up to 50 exquisite bonsai trees. The collection is botanically diverse and includes a number of plants native to the Blue Ridge region. Woodland garden at Bent Creek — See nearly every species of azalea native to the U.S., as well as some natural and selected hybrids. The National Native Azalea Collection is a little-known but easily accessible area of the Arboretum, where azaleas can be found from March to August. Biltmore Azalea Garden — The 15-acre azalea garden is the Estate&apos;s largest and the collection of 1,000+ blooming bushes. Biltmore Conservatory — Located on the edge of the Walled Garden, the impressive glass structure features room after room of tropical plants from palms to cacti to orchids, with interesting specimens tucked into every corner. Burton Street Community Garden — In West Asheville, the Burton Street Community Peace Gardens (47 Bryant Street) features flowers gardens, vegetable gardens, a greenhouse and public art sculptures. Many of the sculptures were done by Dwayne Barton who operates the Hood Huggers Tour, a tour that provides an exploration of Asheville&apos;s African American past and present. Elder & Sage Community Garden — Just up the street from the U.S. Cellular Center in downtown Asheville, this welcoming place (37 Page Avenue) is full of creative containers, pollinating flowers, culinary herbs and organically grown vegetables. 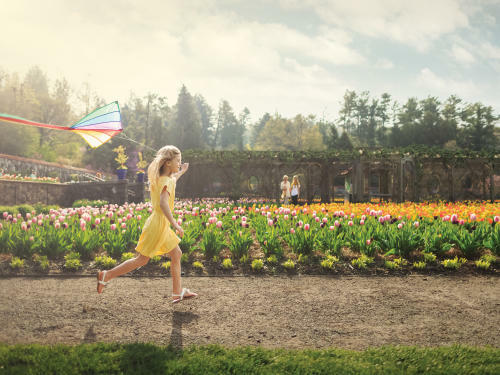 Biltmore Blooms, April 1-May 23, 2019 — Welcome spring in high style with more than 130,000 flowers, blooming in gardens fit for a Vanderbilt. At Biltmore Blooms, the estate&apos;s annual festival of flowers, the color and fragrance of orchids and thousands of spring bulbs steal the show. 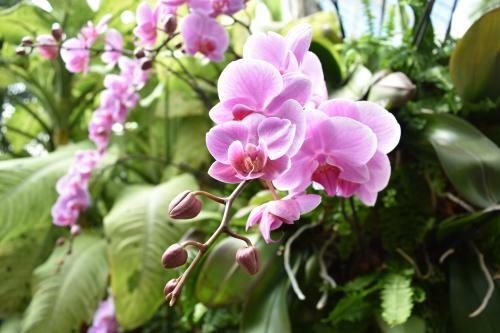 Asheville Orchid Festival, April 6-7, 2019 — This annual event features educational programs, lectures and orchid exhibits from world-class orchid growers. Orchids are available for purchase. 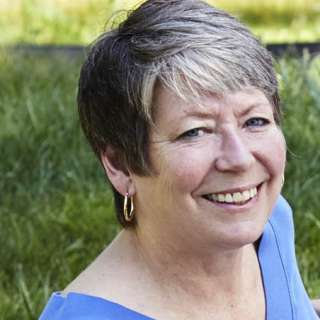 Asheville Herb Festival, May 3-5, 2019 — Herb growers, herbalists come together for a weekend festival that also features natural gardening and landscaping specialists. Biltmore Gardens Railway, May 24-September 29, 2019 — Enjoy the Biltmore gardens from a new perspective with large-scale model railroads and handmade botanical buildings in two estate locations: the Conservatory and Antler Hill Village and Winery. Art in Bloom, June 13-15, 2019 — In the nearby community of Black Mountain, Art in Bloom offers gallery shows, a display of floral arrangements and a garden tour. 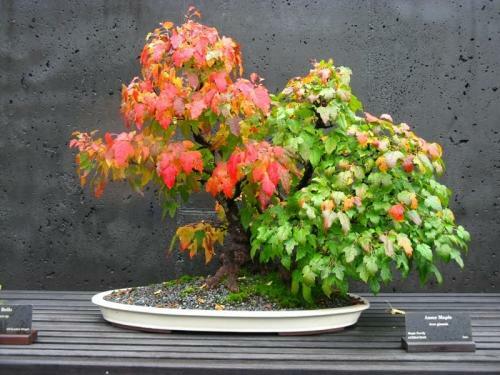 Carolina Bonsai Expo, October 12-13, 2019 — The nationally-known event features juried displays by bonsai enthusiasts from a multi-state region. Participate in bonsai workshops, watch free demonstrations and purchase bonsai plants and supplies. Winter Lights at the North Carolina Arboretum, November 22, 2019-January 4, 2020 — During the holidays, don&apos;t miss the Arboretum&apos;s Winter Lights celebration, which illuminates the gardens with 500,000 LED lights. Rebecca Reed contributed to this story. Biltmore Blooms photo provided by Biltmore Co. Arboretum photos by Art Meripol. Botanical Gardens at Asheville photo by Mark File. Biltmore photo by Jared Kay.